I think that my company’s product would be successful in other countries, but I’m not sure how to get started in international business. 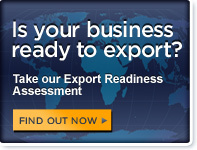 Is there help for new exporters? Where can I find information on trade statistics?